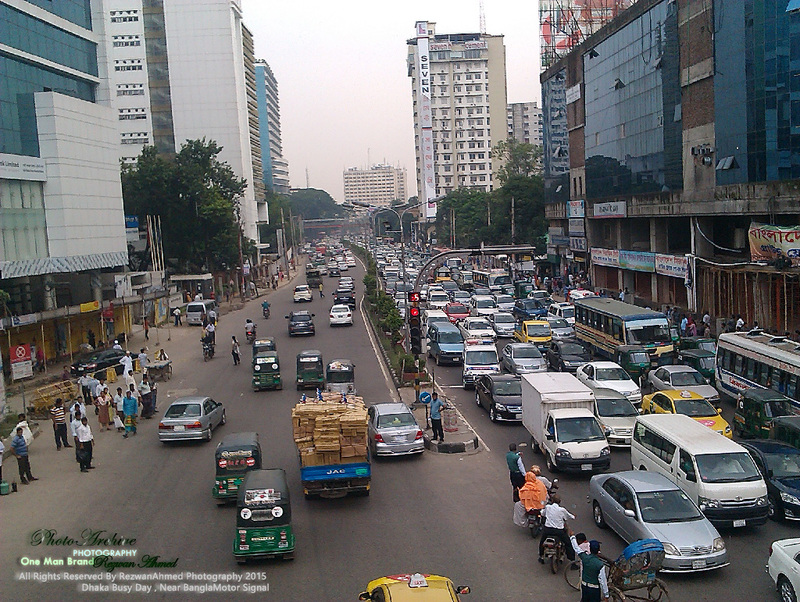 How is the traffic Jam of Dhaka, the central city of Bangladesh. Absolutely, you can enjoy the traffic jam city of Dhaka. Today, very lately went to the office for this unplanned traffic system of Dhaka. Don’t should compared with the other city of foreign country, though some people can distinguish this Dhaka city with other international city. Absolutely, Dhaka is the most ancient city as well as one international city of the world. But, a bunch of unplanned and corrupted people of the ruling government made unplanned Dhaka city corporations that break down the traffic system. The city corporation internal section operated by some nonsense, stupid people that always they are busy to collect graft and tax only, but they forget to clean the central city of the Bangladesh. First of all, clean your city and make systematic good traffic plan, then tell “ Digital Bangladesh ”.